Star Wars: Galaxy’s Edge isn’t the only new thing to hit Disneyland in 2019. In addition to this 14 acre expansion to the Resort, Disneyland is also opening new attractions and rolling out a few new policies to enhance guest experiences. My travel friends at Get Away Today gave me their insider info regarding these updates so you can make plans to visit Disneyland this year. Giddyup and hitch a ride on Jessie’s Critter Carousel! This all ages attraction is located on Pixar Pier within Disney California Adventure. Modeled after the imaginary TV show Woody’s Roundup, shown in Toy Story 2, Jessie’s Critter Carousel features… you guessed it… cute little critters. Choose which one you want to saddle up on for your leisurely spin on the Carousel. The Critter Carousel held a soft opening at the end of March, which made for a fun surprise for many Disneyland guests. When you visit, pair a ride on Jessie’s Carousel with a snack at Señor Buzz’s Churros nearby. They make a great combo! Disney has also recently released info regarding a visit from Bo Peep this summer in Pixar Pier. 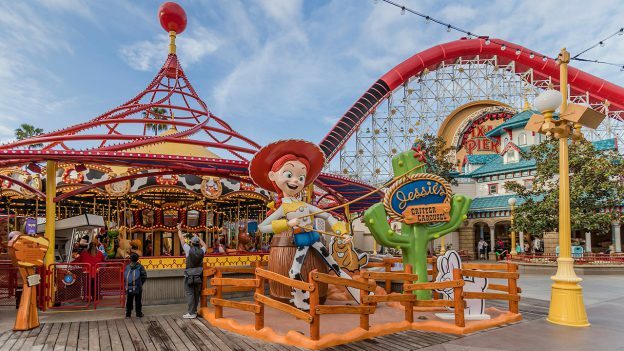 It’ll be so fun to have so many members of the Toy Story gang gathered in Disney California Adventure! 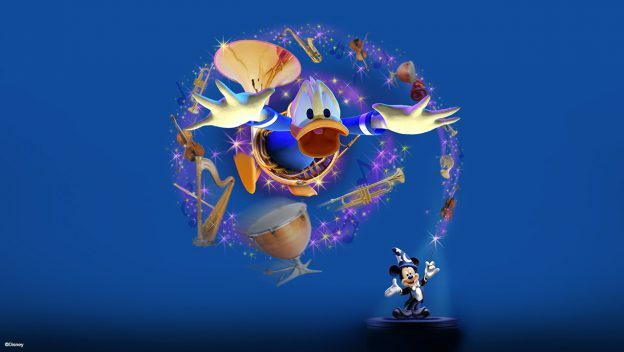 Opening this month in Disney California Adventure, Mickey’s PhilharMagic will be a 3D musical masterpiece. It will feature musical and visual throwbacks to some of Disney’s most beloved classics, including “Beauty and the Beast,” “Aladdin” and “The Little Mermaid.” Follow along as Donald Duck enters a magical world after getting his hands…er… feathers on Mickey’s conductor’s wand and sorcerer’s hat. Not a lot has changed, with the exception of the new stroller dimensions permitted in the Resort, as well as the new policy on loose ice. All of these guidelines are in place to help guests have safe, happy experiences at the Disneyland Resort. If you have questions, you can always check the comprehensive list on the Disneyland website. Of course, if you do end up in line at the main gates of Disneyland with something that is not permitted, you can rent a locker for the day to secure that item. That way you won’t lose any time returning to your car or hotel. Another tip is to keep things in clear pouches so everything is easily identifiable for Cast Members. If you want to head to Disneyland in 2019, these are just a couple of the new things to be aware of. As a reminder, there’s currently the Get Your Ears On: A Mickey and Minnie Celebration and the Disney Food and Wine Festival happening now. While there’s no scheduled end date yet for Get Your Ears On, the Food and Wine Fest will conclude April 23, 2019. You can still use Get Away Today’s spring savings to head to the Disneyland Resort for either of these two events, saving up to $111 per ticket for travel now until May 23, 2019*. If you plan to go a little later in the year, say for a little event called Star Wars: Galaxy’s Edge, you can enjoy the Extra Day Free special for travel May 24 – December 31, 2019. No matter when you go, you’ll save big when booking through Get Away Today. You can see all their vacation packages at www.getawaytoday.com, or call their amazing travel agents at 855-GET-AWAY. Let them know My Book a Day sent you, and mention promo code BookaDay for an additional $10 off your vacation package. This post contains affiliate links. Pics credit Disneyland Blog.